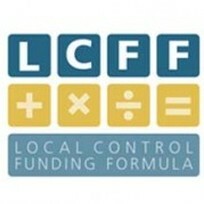 Making Local Control Funding Work for California's Highest-need Students. The 2013–14 Budget Act provides $2.1 billion for school districts and charter schools and $32 million for Coutudents). We provide a written review of a districts Strengths and Weaknesses. We can also deliver assistance by providing a written review of the district’s strengths and weaknesses in the eight state priority areas. We review and identify evidence-based programs that could be used by the school district to meet its annual goals. The Three Common Reasons a District Teams with Calculus Roundtable for Additional Support. School districts are required to provide additional support in the following three instances. to provide assistance to school districts that have an LCAP rejected, request assistance, or are determined in need of assistance based on the COE’s assessment using the support rubric. To provide assistance to any school district that the SPI determines needs help to accomplish the goals set forth in its LCAP. To intervene in a persistently failing school districts, where creative interventions are needed to improve the district’s performance. Calculus Roundtables analytical team has been on the forefront of the nation's local control discussion. With experience in weighted student formula tool creation and policy analysis our team worked on the original policy and research behind the initiatives, built the original tools needed to implement these policies and worked with Twin Rivers, Pasadena and Los Angeles Unified districts during the program's pilot (see per pupil funding final report) provides outcomes strategies and impact dataI, helping California districts achieve the goals set forth in their Local Control and Accountability Plan (LCAPs). Calculus Roundtable establishes a system of support and interventions for school districts that meet performance expectations for the eight state priority areas identified in the LCAP. We discuss this new system in greater detail. (4) address the needs of special student populations (such as English learner, low-income, foster youth, and special education students). Our rubrics are holistic and consider multiple measures of district and school performance as well as set expectations for improvement for each numerically significant subgroup in each of the eight state priority areas. district to meet its annual goals. to provide additional support in the following three instances. aligned with the district’s budget plan. may specifically request additional support.